Home Finance August’s Reddit Challenge: Cook More Often! August’s Reddit Challenge: Cook More Often! 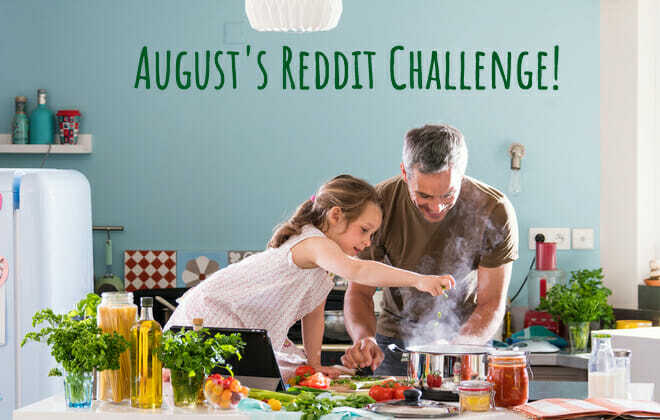 August’s Reddit challenge is to cook more often! Except for the few home-chefs out there who already do this, all of us could benefit from cooking a few more meals at home. Eating out can cost a fortune, and isn’t very healthy. Gone out to eat or ordered takeout zero times for an entire week. Learned to cook (or tried to cook) at least three new recipes. Shared one of your favorite meal recipes in this thread. As Reddit points out: Planning is half the battle. You’ll be amazed when you realize that a little meal prep once a week can save you a ton of time on the weekdays when you want to come home from work and relax. If you’re looking for some recipe tips, here are a couple cost effective meals that involve a little meal planning, but feel like a real chef made them. If you if have good credit and want extra incentive to go grocery shopping and cook at home, apply for a credit card that offers rewards for grocery shopping. These rewards paired with the $200 cash bonus offer after making at least $1,000 in purchases within 90 days of account opening, make this card a great deal. See card details/apply or read our full Bank of America® Cash Rewards credit card review. Combine these rewards with the $500 sign-up bonus after you spend $3,000 on purchases within the first three months from account opening, makes this the best card out there for diners and shoppers alike. 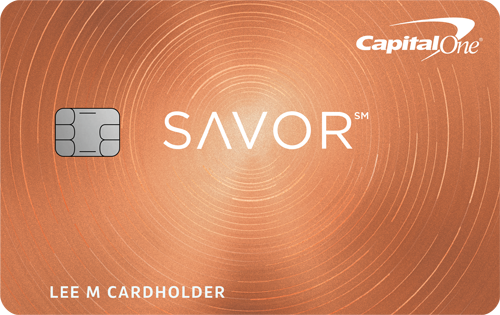 See card details/apply or read our full Capital One® Savor® Cash Rewards Credit Card. If you eat junk all day, you’ll pay for it. Adopting a healthier diet can save you money on groceries and medical bills. One diet that you can do for less than $10 a day is the Whole-30 Paleo diet. It’s a diet that eliminates a lot of foods that have negative impacts on your health. The goal is to eat the foods your body really needs (which is probably different than you thought). It’s easy to justify going out. It’s easier, you don’t have to do any of the work, and you probably like the food a lot. But understanding just how much eating out can cost could scare anyone into eating a few more meals at home. We did the research and found that the average American household spends about $3,000 a year on eating out. If that’s not enough to convince you to eat in more, you should know that a $13 meal out is about 325 percent more expensive than the same meal you can likely make at home for just $4. If you don’t eat-in because you don’t have the time to (or don’t want to) go grocery shopping, a meal delivery service might be the right option for you. Some of them are more expensive than others, but using this service a few days a week and going out less is sure to save you some money. Another surprising fact: eating locally grown food can actually save you money. While buying local can be a big shift, if you live in a city that has a farmer’s market or a handful of local markets, you can simply adjust your food choices to match the seasonal schedule. I already cook most of my meals—mostly for budgetary reasons, but I’ve found a lot of value in cooking at home. It’s a great date idea: My fiancé and I have made a point to find one fancier recipe a week and cook it together over a bottle of wine. It really does save you money: Like I said, I really love sushi. A meal out costs $50-$60 for both me and my fiancé, at home, we make the same meal for about $12 (plus the $3 Trader Joe’s wine we buy—significantly cheaper than the $12 we spend out for two glasses). It’s healthier: I live in a foodie town, so there’s everything from fine dining to hipster burger joints. And let’s be honest, it’s not healthy. We know that, but sometimes a whole pizza and french fries really hits the spot. I tried to cook only at home this month. I was mostly successful (I just can’t make sushi as good as the sushi place down the street). Cooking at home more has a host of benefits. It’s better for your wallet, your health, and it can be fun! That’s why Reddit wants you to do just that. Start small by planning a few more meals during the week. Or, go all out and change your diet up, making cooking a little more interesting.